What is Facebook & Instagram Marketing? At BrightSky Web Design, we offer a variety of marketing options that we tailor to suit the needs of your business. Among these, we provide a social media marketing strategy that helps increase user engagement and your brand’s exposure through social media networks. However, if you’re interested in reaching out to a specific demographic and audience, we also offer Facebook & Instagram marketing strategies. These are strategies that are used to increase your brand’s exposure on both Facebook and Instagram. Facebook and Instagram are two of the most popular social media platforms available today. Because of their popularity, you have a higher chance of reaching out to a wider of network of people in a shorter span of time. Facebook & Instagram marketing strategies also help increase user engagement because of the convenience it offers when responding to messages. Because of the way these two social media platforms’ advertising options are designed, it is easier for you to pinpoint your target audience online, and market your content to this audience. We design our Facebook & Instagram marketing strategies to help increase your brand’s exposure along these two platforms and maximize user engagement. We do this by utilizing several features found on both platforms that allow us to achieve the results that you want. Facebook is one of the most populated social media websites available today, making it ideal for reaching a wider audience. However, because of its high population, we have to tailor a unique Facebook marketing strategy for your business in order to reach the audience that you need. Here are some of the strategies we employ for your Facebook marketing strategy. Like with any social media marketing strategy, we help you identify your main goals and what you hope to achieve through Facebook marketing. Whether it’s an increase in sales, or website traffic, our team at BrightSky Web Design will take the time to sit down with you and talk about what your main goals are for this marketing campaign. Once we’ve successfully discussed your goals, we help you identify your target audience. By pinpointing these essential factors, we can begin designing a Facebook marketing strategy specifically for your needs. The content that you can post on Facebook is very versatile. You can post anything from status updates to a livestream, so it’s important that we strategize your content marketing accordingly. We help identify the relevant content that appeals to your target audience, and market it. We also take into consideration the time that we schedule your Facebook posts by analyzing user data and determining the best time to post content. 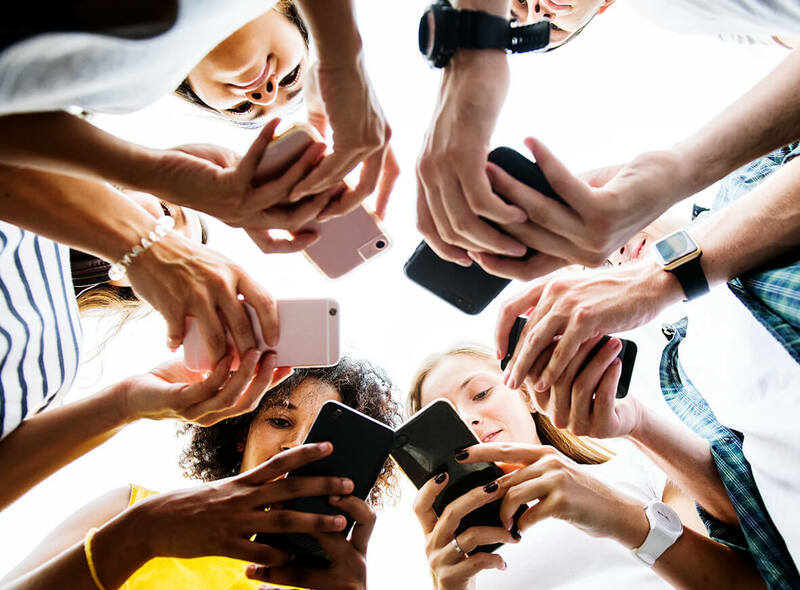 User engagement is part of a good social media marketing strategy, and it’s important to maintain good rapport with your users through user engagement. We help you engage with your customers better through social media and build that rapport to help maintain customer loyalty. Instagram marketing is slightly more competitive in nature compared to Facebook. Their main demographic comprises of adults from ages 18 to 29, which makes them a demographic eyed by many brands. However, with the right marketing strategy, no matter how big or small your brand is, BrightSky Web Design can definitely help your market your brand. Instagram is primarily a visual social media platform, which means all content shared comprises of images and video. We help identify which type of format suits your business best, and strategize the posting of your content to meet your audience. Everything in your content is taken into account, from the post caption, the image filters, and the geo-tagging. Like with Facebook, there are times when your target audience is more active on Instagram, and that information can be used to help schedule the best time to post your content. User engagement is also important in Instagram marketing, to help make your users feel like their voices are being heard by your brand. Facebook & Instagram marketing strategies are a very popular online marketing strategy. Our BrightSky Web Design team is waiting for you to reach out to so we can help you increase your brand’s visibility through social media. Contact us today!